A great promotion for anything you want to express your product identity. 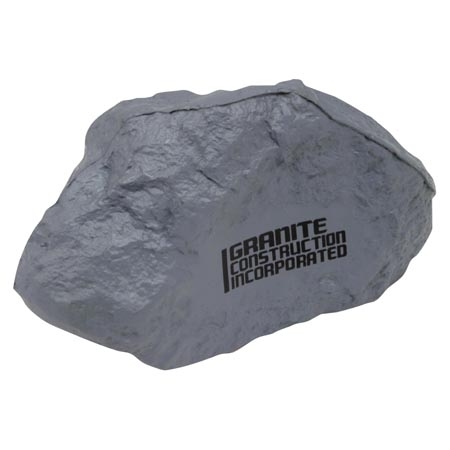 Don't hide under a rock.Gray Rock Stress Ball is made of Squeezable polyurethane foam. This gray rock-shaped stress reliever helps stress crumble! Customize this item and your company's logo and message can be set in stone for all to see and share. Ideal for any business for any promotional event, make this a solid hit at your next tradeshow or convention. Safety tested and intended for adults or for general use by consumers of all ages. Not intended for children under three years old or for pets. 4" x 2" x 2-1/2"
Imprint Area: 1.25" x 0.625"